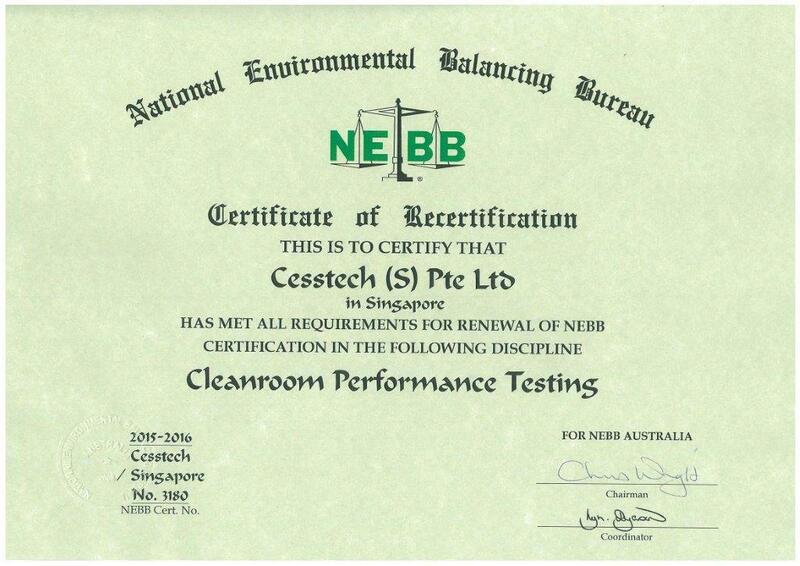 Cesstech offers a comprehensive range of auditing, qualification and testing/certification services. 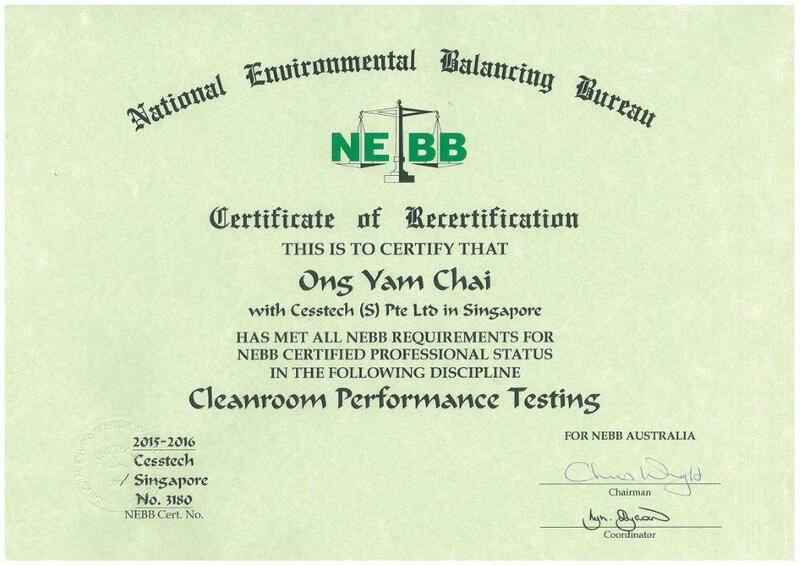 Being NEBB certified, our credentials as an independent third-party certifier are backed by a team of professionals that include NEBB qualified and certified Cleanroom Performance Testing (CPT) supervisors with a combined experience of more than 30 years in the testing and certification of Cleanrooms, Clean-air devices and mini-environments. 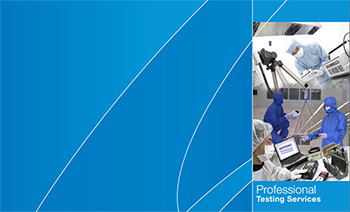 Cleanroom suitability assessment of equipment such as Cleanroom automation system, Cleanroom conveyor, Cleanroom lifter, etc.